↑ ‘Single deity’ or ‘single mudra’ refers to when the complete mandala of all the deities―the principal one and his or her assembly representing many mudras―are all gathered into the one main deity. 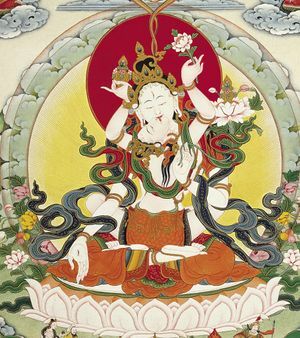 If we meditate on this one deity then we accomplish all the deities of the mandala as well. This page was last edited on 23 August 2016, at 10:09.